published annually under the auspices of the UCLA Center for Medieval and Renaissance Studies, invites the submission of articles by graduate students and recent PhDs in any field of medieval and Renaissance studies. Submissions should be sent as e-mail attachments in Word format. SUBMISSION DEADLINE FOR VOLUME 48 (2017): 1 FEBRUARY 2017. The Comitatus editorial board will make its final selections by early May 2017. Please send submissions to Dr. Blair Sullivan, sullivan@humnet.ucla.edu. 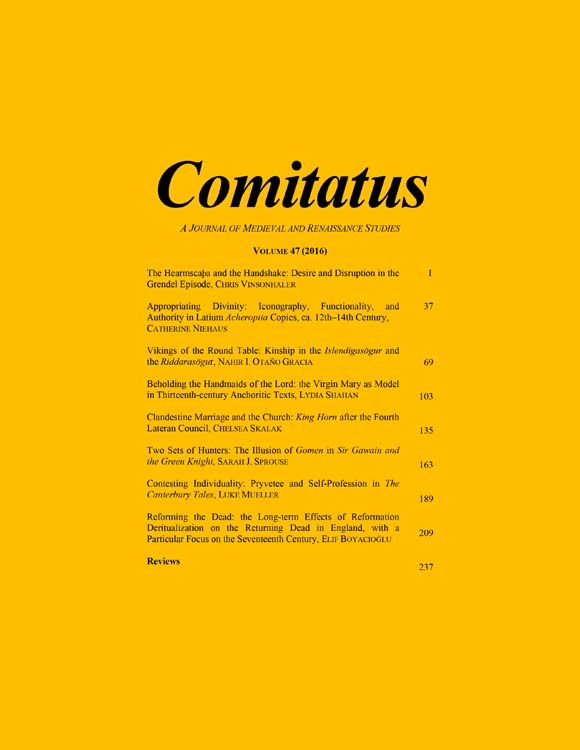 This entry was posted in Call for Journal Submissions and tagged Comitatus, journal, medieval studies, Postgraduate on January 24, 2017 by Meg Bernstein.